Save 88% on the FineTools 15-LED Bicycle Headlight & Tire Multicolor Flashing Light Set! 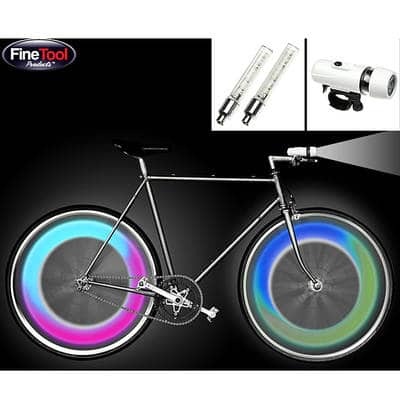 The FineTools 15-LED Bicycle Headlight & Tire Light Set 2 Light Modes and Multicolor Flashing Lights is on sale for $5.99 at Tanga.com right now. That's 88% off the retail price of $50.00!